These constituencies go to polls on April 23, in the third of the seven-phase elections. 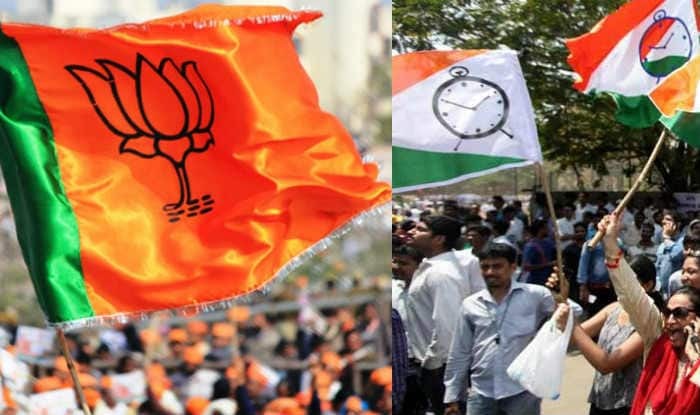 New Delhi: Constituencies of Jalgaon, Raver, Jalna, Aurangabad, Raigad, Pune and Baramati in Maharashtra go to polls on April 23 in the third phase of Lok Sabha elections. Jalgaon: Jalgaon is home to the only study and research centre dedicated to Mahatma Gandhi. It is known for its banana production, gold jewellery and textile industry and is also a key producer of pulses. In 2014, A.T. Nana Patil of the BJP had defeated Annasaheb Dr Satish Bhaskarrao Patil of the NCP. In 2019, BJP has fielded Smita Uday Wagh against NCP’s Gulabrao Deokar. Raver: The economy here is boosted largely by agriculture, especially banana production. In 2014, Raksha Nikhil Khadase of BJP had defeated NCP’s Manishdada Jain. This year, sitting MP Khadase is defending her seat from Congress’ Ulhas Patil. Jalna: The city is one of the renowned centers of education of the state and is home to more than twenty colleges which offer degrees in various fields. Several major highways connect the city to an extensive road network. This seat has gone to the BJP since 1996. BJP’s Danve Dadarao Patil has himself won from here since 1999 and is the current sitting MP. This time, he is pitted against Cong’s Vilas Keshavrao Autade. Aurangabad: Named after emperor Aurangzeb, the city is surrounded by several historical monuments including the famous Ajanta and Ellora Caves. With over 100 colleges offering higher education, it is a major hub of education. Shiv Sena’s Chandrakant Khaire has held this seat since 1999. This year, he is fighting Congress candidate Subhash Zambad to defend his seat. Raigad: The district is home to the Dr Babasaheb Ambedkar Technological University. Several major roads like NH-4, NH-17, Sion Panvel Expressway and Mumbai-Pune Expressway are connected to this district. Anant Gite of Shiv Sena had defeated NCP’s Sunil Dattatray. This year, the two parties have fielded the same candidates. Pune: It is the eight largest city of the country and the second largest of the state. Since the 80s, this seat has either gone to BJP or Congress. In 2014, Anil Shirole of BJP had defeated Congress candidate Vishwajeet Patangrao Kadam. This year, Congress has fielded Mohan Joshi against BJP’s Girish Bapat. Baramati: Baramati has also grown as an education centre over the last decade. Agriculture is the main economic activity here with the cultivation of wheat, grapes, cotton and sugarcane. NCP’s Supriya Sule is attempting a hattrick this year. She is pitted against BJP’s Kanchan Rahul Kul.